When it comes to divers watches, Seiko really know what they’re talking about. We have seen plenty of pieces flow in and out of our showroom, snapped up by collectors, keen divers and everyone in between. Showcased at Baselworld 2017, this re-vamped homage to Seiko’s very first dive watch, originally released in 1965 is a must-buy for any avid collector (ref. 62MAS). As the watch that started off their incredible reputation for innovative, high quality and practical diver’s pieces, it stands to reason to re-produce and update a classic for divers of the future. Aesthetically stunning, the new version is the Seiko SLA017 and is a direct copy of the original, yet opening the watch up reveals significant changes. The watch houses a Seiko high grade calibre 8L35 instead of the original 6217, a cutting edge movement specially designed for dive watches equipped with a 60 hour power reserve. Protecting the important stuff, Seiko have kept as close to the original design as possible, with the vintage theme clear to see. The stainless steel case is slightly smaller at 39.9mm, compared to the chunkier 44mm we are used to seeing from Seiko’s dive watches. The shape and finish of the case has remained identical to its ancestor with stunning radial brushed finish, angular lugs, large screw down crown and robust coating to prevent scratches and general signs of wear and tear. Again, the dial and now unidirectional bezel have stayed faithful to the 1965 model with embossed rectangular baton markers and large sleek hands coated in luminous paint for superb clarity even in the darkest depths. The useful date window at the 3 o’clock position is surrounded by a metallic ring to compliment the indexes and create an overall clear and consistent finish. Protecting the dial, Seiko have added durable sapphire crystal glass with a profile not dissimilar to the retro domed shape we have seen in previous models. The strap the watch is fitted with is black silicone with a textured diamond pattern running along it, reminiscent of older editions of the Seiko 62Mas. This piece is also great for multi functional use as a stainless steel bracelet is included should the wearer prefer a change of image. We have been in close partnership with Seiko for many years and have been able to access many Limited and Special Edition pieces thus far. This particular watch is limited to 2000 pieces worldwide and it really is in high demand. To be in with a chance of getting your hands on the SLA017, we recommend contacting us as early as possible as sales will be completed on a first come, first served basis. 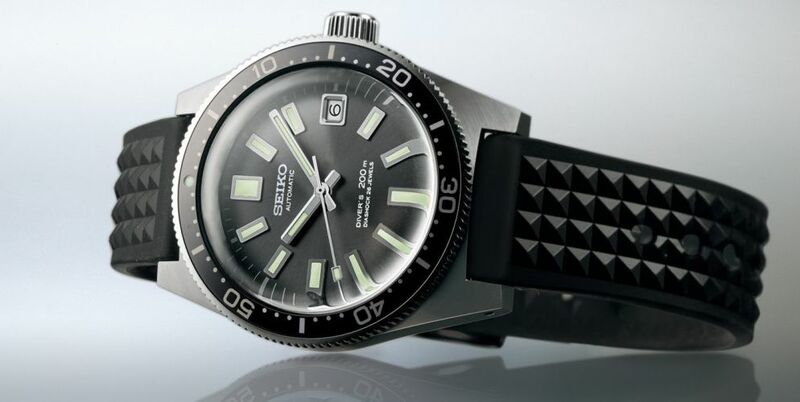 Seiko have indicated the retail price will be around £3495 GBP and expected release is September. Other models we have available that collectors may be interested in include the Seiko Prospex Automatic MarineMaster, also known as the Tuna (ref.SBDX014G). With a sleek and soft silicone strap, large titanium case with bezel protection and rose gold accents, the Tuna was produced for the 50th anniversary of making divers watches and they certainly pulled out all the stops. Our most recent blogs have covered the release of the much anticipated Blue Lagoon collection that included the modernised versions of the Turtle and Samurai models as well as the PADI partnership collection. We still have selected Special edition Prospex models available that may be of interest so please feel free to shop the collection on our website. Please call us on 0121 233 1801 for further information or to place a possible order for the SLA017 or any other Seiko dive model available.